In this second episode, we meet David Love, an adventurer, mountaineer and expedition leader from Great Britain. We hear about his love of the outdoors and mountaineering and the event that sparked his spirit of adventure. For 20 years, David has been mountaineering in Great Britain and around the world. To fuel his love of a challenge, he likes to find new routes to climb and a different peak to summit every time he sets out. It is in the hills and mountains of Great Britain that he spends much of his time working with young people to inspire them to get outdoors and spark their spirit of adventure. For David, it can feel all too easy and comfortable to climb and trek the same route every time. But when you truly explore you push the boundary, challenge yourself, raise your heart rate and start feeling excited. This is the feeling that drives David’s passion for the outdoors. 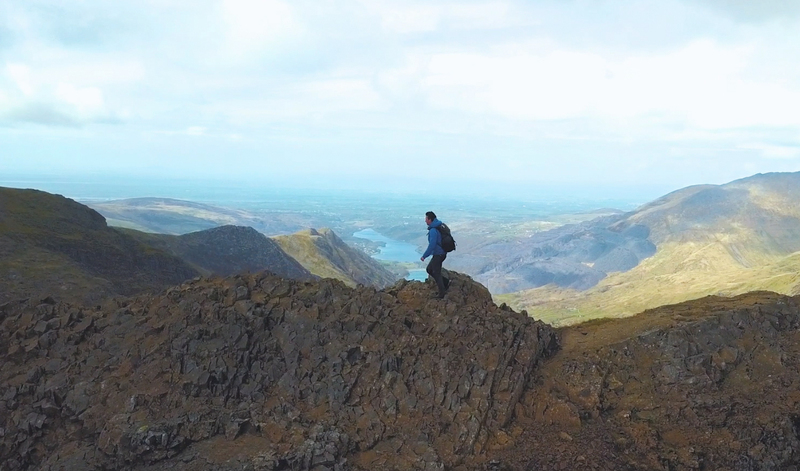 The awe-inspiring landscape in Snowdonia, Wales, is his favourite place in the world. David’s spirit of adventure was sparked off at age of 13, when he went adventure training with his school and climbed Helvellyn, a mountain in the English Lake District. It was that impressive mountainous landscape which led him to mountaineering and inspired his love of the outdoors. One of David’s messages is that adventure can be found locally. You don’t need to go abroad or be in extreme conditions. In fact, adventure is just around the corner for most people. And for David, being outdoors gives him time to reflect or completely switch off. For David, it’s clear that you need to have the right equipment and clothing, If you have reliable outdoor kit, then you have one less thing to worry about.